Get a Consultation with the Best Tampa Wrongful Death Attorney! This tragedy could have been avoided… It seems all too often we hear a heart-breaking story on the news about an avoidable tragedy. 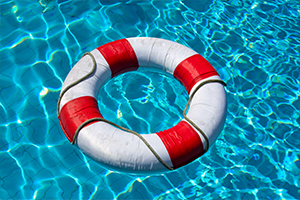 A toddler drowning in an unsecured pool. A victim suffering a blow to the head during a heated altercation resulting in coma and later, death. A young mother’s life cut short by a drunk driver. In the unthinkable instance where a loved one is killed due to the wrongful conduct of a person or persons, the heirs or other beneficiaries of the deceased may file a wrongful death action against the parties who are responsible. Separate from any criminal charges pursued, action for wrongful death can be brought in the case of intentional or unintentional acts causing injury resulting in death. Maneuvering the course of a wrongful death claim under the stress of a personal loss requires the assistance of a strong and compassionate partner. The attorneys at Stolberg & Townsend, P.A. will handle the sensitive nature of your wrongful death claim with empathy and dignity; they will be your strength in the most difficult of times. Get Legal Advises from the Best Wrongful Death Lawyers in Tampa!